A taste of tomorrow! 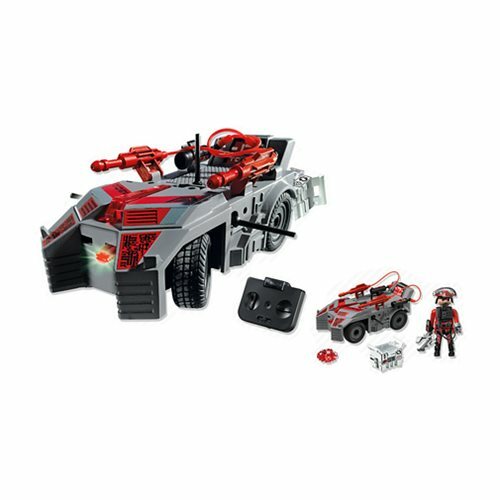 The Future Planet Dark Rangers' Explorer includes a remote control so you can attack enemy sets (sold separately) with the power of light. Includes 1 figure, 1 vehice, and remote control. Does not launch projectiles.